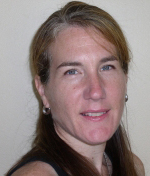 Ms. Ring is a seasoned practitioner with over 25 years experience in the hearing aid and hearing health field. Ms. Ring obtained her Bachelors of Science in Speech Pathology and Audiology, as well as her Masters of Science in Audiology, both from Ithaca College. Her career in Audiology began in Newburyport, Massachusetts where she completed her certificate in clinical competency (CCC’s) working in an Ear, Nose, and Throat physicians office diagnosing hearing disorders and fitting hearing aids. After five years in the ENT setting, Ms. Ring held various positions within the field of Audiology. From staff Audiologist for the world largest hearing aid manufacturer, to product trainer of advanced hearing devices, to a consultant providing diagnostic evaluations for patients confined to nursing homes, Ms. Ring has extensive experience in both diagnostic evaluation of hearing loss and the technical specifications and limitations of advanced amplification. Her last position prior to purchasing Amore Hearing was in a private practice hearing center in Haverhill, Massachusetts where she worked for approximately 5 years. Ms. Ring has been Andover resident for over 20 years where she lives with her husband Kurt, her two sons Dylan and Trevor. Ms. Ring is proud to be able to bring better hearing to the Merrimack Valley and is excited that she can help residents, friends, and neighbors of the local community.